Dogs need to drink plenty of water over the course of the day. Just like us, a dog’s body is made up primarily of fluid. Any water that is lost needs to be replaced. It’s a myth that Fido doesn’t sweat. While dogs do indeed release a great deal of excess heat through panting (which is fine unless they have a bad case of puppy breath! ), they also have small sweat glands in their paws. This means that they lose water from their body over the course of the day, and need to drink cool, fresh h20 to replace it. However, dogs are creatures of habit. If a dog is drinking lots of water suddenly, or drinking a lot of water and throwing up, it could be something that needs to be looked into. 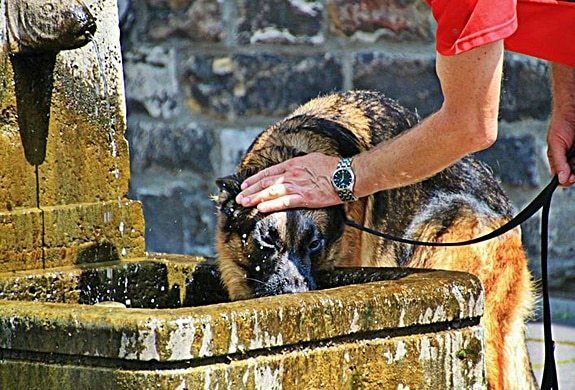 There’s a risk that it could be warning signs of dog kidney failure, psychogenic polydipsia, diabetes, Cushing’s disease… or maybe your dog is drinking water frequently because it’s hot outside, and they’re thirsty. Let’s take a look at all the possible reasons why Fido may be drinking more than usual, and whether that’s a reason to be concerned. 1 How Much Water Should a Dog Drink a Day? 1.1 Why Does My Puppy Drink So Much Water? 1.2 What Does it Mean When an Older Dog Starts Drinking a Lot of Water? 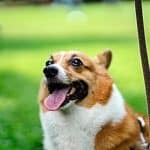 1.4 My Adult Dog is Drinking a Lot of Water – are They Sick? 1.7.1 How Do Dogs Get Overhydrated? This is the kind of question that may get a hundred different answers from a hundred different people. After all, healthcare experts still can’t decide how much water humans should be drinking each day, and we’re the same species as them! Well, some of them at least. 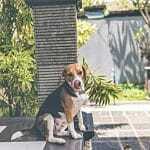 A cursory search will bring up many different results, but we’re inclined to take the advice of Cynthia Otto via TV’s favorite canine coach, Ceser Millan. Dr. Otto claims that the average dog should be drinking roughly 8.5 – 17 ounces of water for every 10 lbs. of weight. So, there you go. It’s an exact science, and there’s nothing else to think about, right? Well, no. For a start, there’s the fact that dogs are creatures of instinct and habit. You can’t sit your Shih Tzu down with a blackboard and mathematic equation that explains when they should be drinking, and how much. Dogs will drink when their bodies tell them to, and when they are used to doing so. Plus there are other variables to consider, such as your dog’s breed and the temperature. If it’s a hot day outside and your dog is a non-shedding breed, they’re going to be feeling extremely hot and uncomfortable – it’ll be akin to sitting in your house with the heating turned up full while wearing an overcoat. Your dog may like to take a big drink first thing in the morning, after they eat dinner, after a big playtime, just before bedtime… basically, just keep your dog’s bowl refreshed at all times and keep an eye on them. As long as they are drinking at some kind of regular interval and exhibiting no sign of poor health, everything should be fine. There are other FAQs about dogs and water though, relating to different phases of the canine life cycle. Let’s take a look at them. Why Does My Puppy Drink So Much Water? The puppy years (or months, depending on your dog’s breed) are critical to development in a happy, healthy adult canine. While it’s hugely important that your puppy gets all the essential nutrients that they need from their food at this point, drinking enough fluid is equally important. You can always supplement your dog’s diet with specialist puppy milk that’s available from any pet store – your puppy may just find drinking water fun, and they’ll go on the hunt for water at all hours! Here’s the tricky part of all that, though. All this extra water has to go somewhere. Puppies have immature brains and bladders; when their little bladders fill up with fluid, they panic and urinate as quickly as possible as they don’t have control over their body just yet. The fact that puppies are constantly playing unless they’re asleep will also agitate this need to pee. This means that there will be accidents until your furry family member has been wholly housetrained – keep training pads in every possible part of the home! If this is becoming a problem for you, don’t restrict your puppy from drinking as much water as they want (within reason) – that’s mean and potentially dangerous. If you must, stop your puppy from guzzling by putting their water in a smaller bowl. This means that they’ll drink little and often. You could even use a syringe if you’re really worried about how much water your pup is consuming. You could also consider switching your puppy to a wet food diet, so they’re less thirsty, but consult a vet before taking action on this. What Does it Mean When an Older Dog Starts Drinking a Lot of Water? At the other end of the spectrum from bright-eyed puppies that drink for fun, we have senior dogs that may be struggling with a health complaint. On the other hand, this may be an instinctual precaution from your older dog. As we’ve said, dogs tend to know when something is up within their own bodies and they’ll do whatever they can to take action before they inform their humans. If your older dog feels that, they are at risk of dehydration, for example – and remember that senior dogs are considered vulnerable to such conditions – they’ll drink more to see if that remedies the problem. Likewise, an older dog will drink to settle any stomach problems they may be experiencing, and possibly to see if it eases the general aching and pain that comes to the joints as we grow older. Dogs tend to be better than humans at knowing their limits when it comes to physical exercise as they grow older, but they may still push themselves a little too hard at times. Where all of this can become an issue with older canines is when the dog drinks more water and becomes incontinent. If your dog is struggling to last the night without an incident (sometimes known as leaking), never punish them for this. Don’t even acknowledge it – the chances are, Fido will be mortified that it happened, and freaking out will only make it worse. However, do make an appointment with a vet. As dogs grow older, they are more and more likely to be struck down by medical conditions, and early intervention can make all the difference for an older animal. Pregnant pooches tend to be very, very thirsty. This is hardly surprising when we think about it; your dog needs all that water swishing around her body to stay active, but she has a whole litter of thirsty little critters growing and developing inside her that also need to be kept hydrated! A pregnant dog is also likely to overheat, so ensure that you always have a steady supply of water on-hand. Aside from the usual symptoms of overhydrating, there is no danger to your pregnant hound lapping at her water bowl pretty much consistently, so make sure you’re ready to give her plenty of comfort breaks. That may be the backyard if you have one, or out to the park. If it’s the latter option that you take, be a little careful; you should not over-exercise a pregnant dog. They’ll still need daily walks, but they’ll understandably be a little more tired and lethargic than usual, and will be keen to get home, take a drink and snooze on their favorite pillow. My Adult Dog is Drinking a Lot of Water – are They Sick? There are certainly a handful of concerns that may apply to an adult and otherwise healthy dog that suddenly starts drinking a lot of water. Skip ahead if you’re worried about how much water your dog is drinking, or if they appear to be experiencing bloating as they are unable to urinate after drinking. There are many reasons why a dog isn’t eating, and they don’t always have to be a cause for concern. 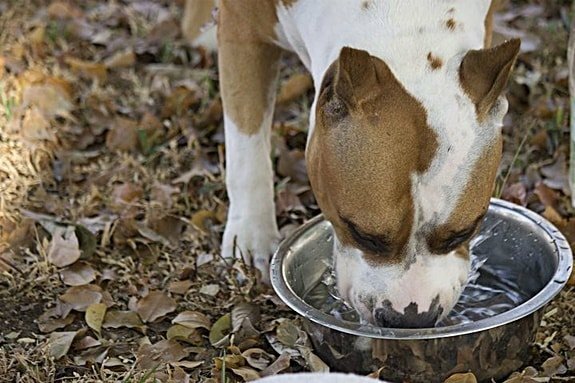 If your dog is still drinking water at their usual rate while being off their food, it suggests they don’t have a sore throat or something similar. They may just be bored of eating the same meal time and again. This is particularly likely if your dog only eats dry kibble – that’s akin to you just eating dry bread and water all day, every day. On the other hand, if you’re introducing a new diet to your dog, they may not entirely trust it, or sense that they have a sensitivity or allergy to the contents of their bowl. Water is a known quantity to any dog, and they will trust that if they’re feeling under the weather for any other reason. Your dog may also have a stomach upset, which is entirely possible if they have been vomiting. They may be drinking water in an attempt at soothing any discomfort that they are experiencing. If you feed your dog a dry diet, try adding a little water over the top of the contents of their bowl in an attempt at enticing them into eating again. It’s also possible that your dog doesn’t feel like eating, especially if they are of a small breed and are uncomfortably hot due to the temperature outside! Try offering your pooch snacks rather than a full meal in these circumstances. If the symptoms persist for more than 24 hours, see a vet though. While dogs can last significantly longer without food than they can water, losing their appetite for a prolonged period of time is uncharacteristic. As we have established, a dog drinking a lot of water isn’t always a reason to panic. Take a good look at the situation and circumstances that surround this constant lapping, and if there’s any chance of a rational and reasonable explanation, it’s likely true. However, there are also many potential medical concerns that surround a dog that suddenly drinks a lot more water than usual. Psychogenic polydipsia is a curious case, as it’s an acute mental issue or problem as opposed to a physical condition in and of itself. It means excessive drinking or water and urination – which may take place in or out of the house. If an adult dog is suddenly displaying symptoms of psychogenic polydipsia, it may be a warning sign that they are experiencing one of the physical ailments that we will be discussing below. Maybe your dog is not quite feeling right, and he or she is trying to let you know. What’s more likely, however, is that your dog is acting this way for psychological reasons, and is trying to attract your attention in some way. Maybe Fido is bored and is not getting enough stimulation during a day, and this is a way of letting you know; dogs are aware of the correlation between filling their bladders and needing to eliminate afterward, and peeing indoors usually captures the attention of a human! 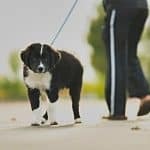 There could be any number of reasons why your dog is behaving in such a way, and a professional such as a vet or a canine behaviorist should be able to pinpoint them for you. Just remember to stay calm in the face of pee-centric provocation! Also known as Chronic Renal Disease, the failure of the kidneys in dogs to work correctly is an irreversible condition that can often be fatal. Particular common in older dogs, this horrible affliction can creep up on a dog very slowly but surely. It’s important to be vigilant about keeping an eye out for the symptoms as if captured early enough medication can at least slow down the progression and make Fido more comfortable. Just like in human beings, diabetes is a very dangerous condition that needs to be treated and managed if it inflicts your pet – though if it can be avoided in the first place that is better! Older dogs are thought to be at higher risk of diabetes, and some breeds are more likely than others to be struck by the condition. 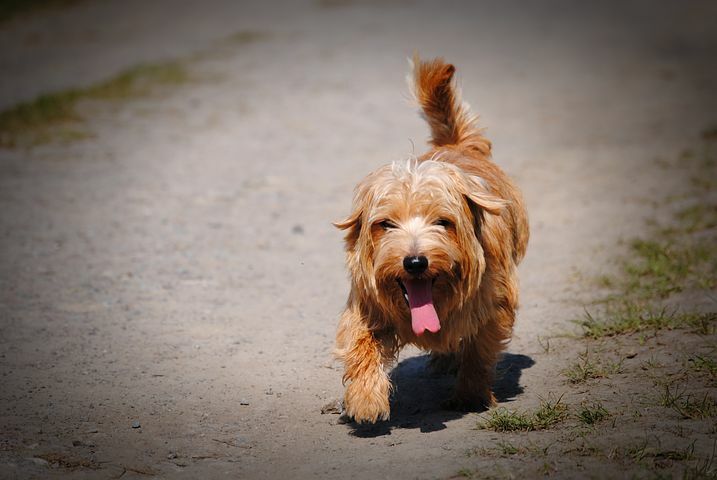 Australian Terriers, Standard and Miniature Schnauzers, Dachshunds, Poodles, Keeshonds, and Samoyeds are said to be particularly at risk according to PetMD, while Golden Retriever and Keeshond puppies have a higher chance of contracted juvenile diabetes (also known as Type I Diabetes in humans). Doggy diabetes does not always stem from the same causes as in humans, but the parallels are there more often than not. Sometimes dogs are just unfortunate and are prone to issues with their pancreas and the creation or processing of insulin, but obesity can be a huge problem and contributing factor. We need to keep an eye on our dog’s diet, and to ensure that they’re getting a good balance of nutrients from their food and not skipping out on meals in favor of constant, sugary treats. Avoid rawhide wherever possible too, as although many dogs find it very tasty it is also hugely calorific. Dogs can easily become overweight, and it’s not body shaming to look out for their health. Remember the golden rule – you should always be able to see and feel your dog’s ribs when you run your fingers over their back or tummy. Also, take your dog for a regular weigh-in with the vet to ensure that they are in good shape. If not, it’s time to consider a few extra laps around the park and a trip to Doggy Weightwatchers. This is another problem that tends to inflict older dogs, with Cushing’s disease (aka hyperadrenocorticism) usually stemming from a tumor found within the pituitary gland. This creates an excess of the stress hormone cortisol. As you can probably imagine, this is no fun for Fido – and it could lead to a lot of further health issues down the line. Whether Cushing’s disease is treated by surgery or managed by medication depends on how quickly the problem is captured. It can also be tricky to diagnose, so if you have any concerns at all about your dog’s behavior that could be connected to Cushing’s disease, get them to a vet. 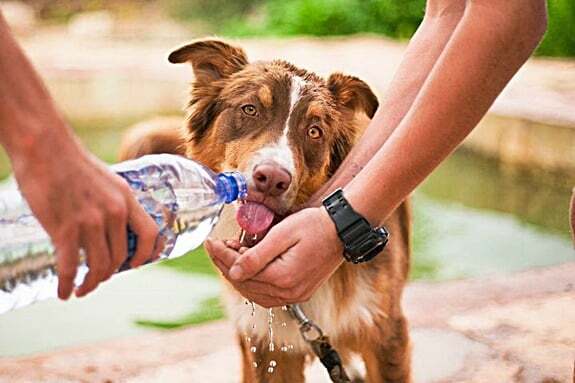 Dehydration in dogs is a matter of huge concern, and rightly so – this condition can very dangerous. However, that’s not to say that the opposite is not also worrying as it’s very much possible to have too much of a good thing. Overhydration in dogs, also known as water intoxication or hyponatremia, can often be lethal. The science behind this condition is simple; dog bodies are comparatively small but complex, and if they ingest too much fluid their sodium levels become critically low. This, in turn, leads to organ failure. Sadly it doesn’t take long for this to become fatal. Now, some of these symptoms could apply to a great many different conditions or concerns, but every one of them is something that shouldn’t ever be ignored. If your dog is exhibiting any of these behaviors, get them to a vet post-haste. 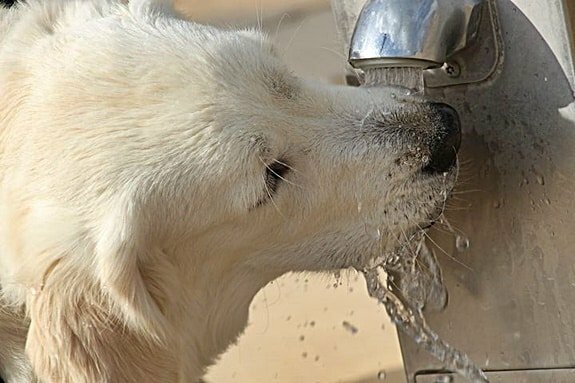 How Do Dogs Get Overhydrated? The good news is that it will take a lot of drinking water for your dog to experience overhydration. The exact amount will vary depending on the size and weight of your hound, but unless you have a Chihuahua that is emptying a barrel in a matter of minutes, you shouldn’t need to worry. Where pooch parents need to be a little more vigilant, however, is in letting their dogs play in the water. If your canine is a keen swimmer, don’t allow Fido to stay in the river, lake or even paddling pool all day – despite what he or she may think, the average dog does not have the water tolerance of The Creature from the Black Lagoon. Also be vigilant about preventing your pet from drinking straight from a garden hose, which can be a fun game for some dogs. A useful rule of thumb if your dog enjoys chasing a ball or stick into water is to allow them two throws and swims, then have a few other tosses of the toy on dry land before returning to the water. Not only will this dry off Fido’s fur, but it will also give your dog’s body a chance to process any of the water they may have swallowed. There’s no need to be the fun police; you can let them back in the water afterward. Just break up the play a little to prevent any avoidable and heartbreaking turns of events. Why is My Dog Drooling So Much All of a Sudden? Dog Itchy and Losing Hair at Base of Tail, But Why?